1. 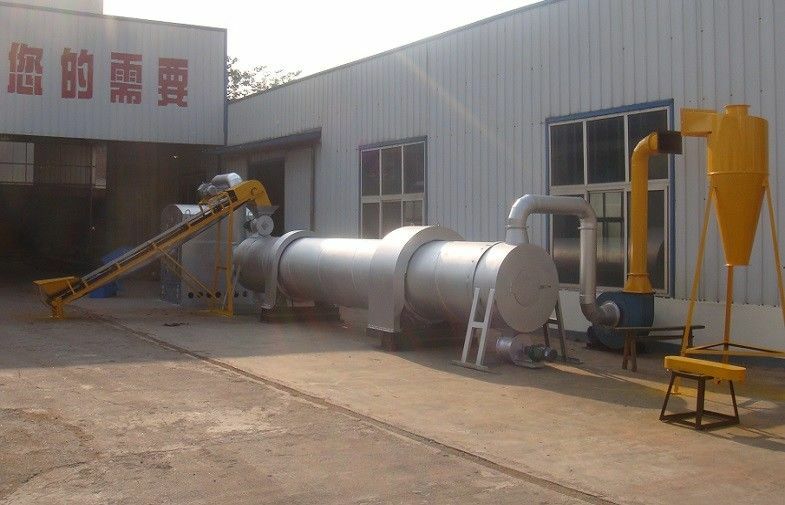 Drum-type drier is tilted slightly and the cylindrical rotating body, the wet material enter into the upper, at the same time, the dry materials are collected on the other side of the lower part. Hot air from the feed end or discharge end access to the material and discharge from the other side of the upper part. 2. Drum-type drier’s evaporation capacity is generally 30-80kg/h, with the increase in air temperature increased, and with the nature of material changes in the water. Equipment moves smooth, reliable, non-wearing parts, less malfunction, long service life, which have been widely used of the drying industry. Remark Detailed equipment including tube, material iron, diameter 219 mm Link the oven with drum, drum with blower, blower with cyclone. Quality is very stable, high dryingefficiency and better drying effect.